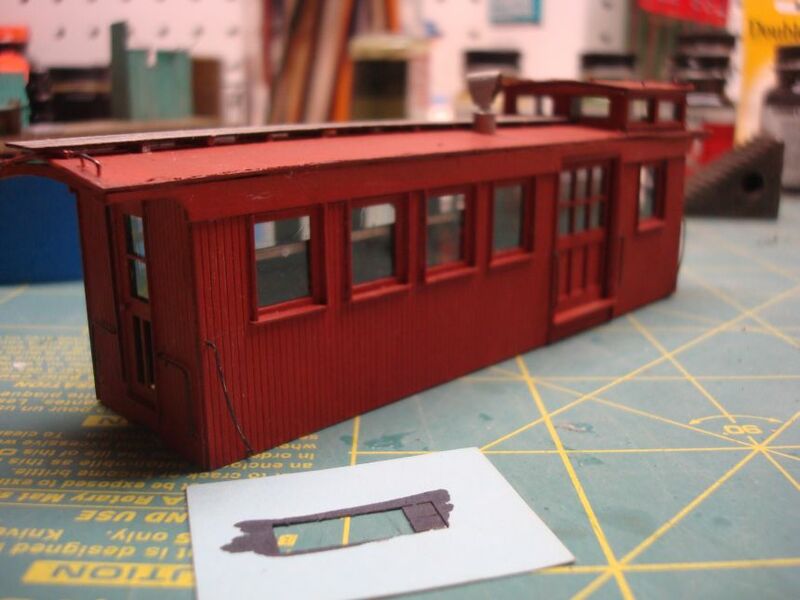 The interior of the in progress Mount Blue Caboose. The body of the Sn2 Mount Blue 556 Caboose. 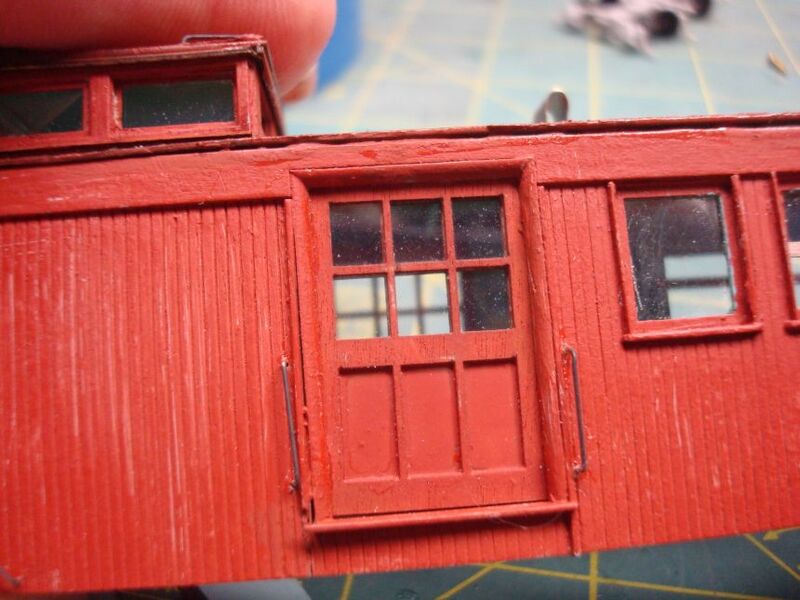 Closeup of the caboose. It has the look of multiple layers of paint. 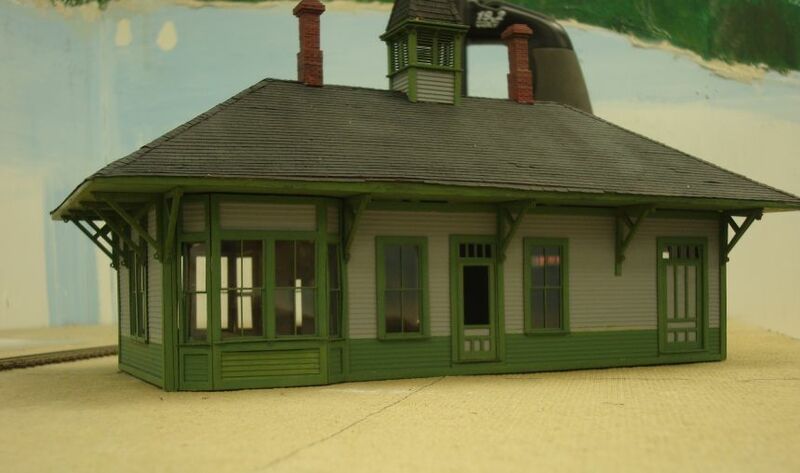 This entry was posted in Banta, Caboose, Depot, Harry Downey, Mount Blue, SR&RL. Bookmark the permalink.